When my brother and I were little my aunt would send us each an advent calendar in a big red envelope. It was a traditional cardboard calendar with doors of all shapes and sizes hidden in the picture, a Christmas scene covered in glitter. I loved to have a little activity to do every day before the big day. And then one year, advent calendars started to be filled with chocolate, no more red envelope! 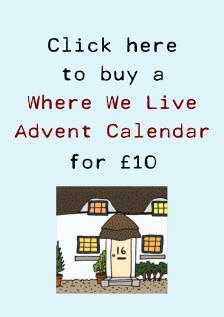 Last year I designed the first cut-out-and-make advent calendar, finding out about different houses all over the world, and putting together a collection of drawings and information into a chocolate-free alternative for Advent. 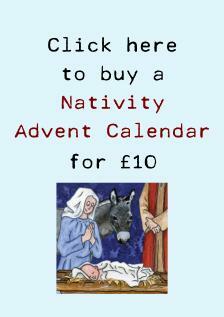 This year I’ve added a new traditional calendar to my range, a Christmas nativity. In each calendar pack there is a different card for every day before Christmas. Each card is a little picture model to cut out and stand up. A calendar to be enjoyed by the whole family.